This has been another labor of love. Lots of classroom testing, getting feedback from my fabulous teammates and tweaking. As we navigated our way through the new Common Core standards, I realized I needed to "ramp up" my resources for plural nouns. 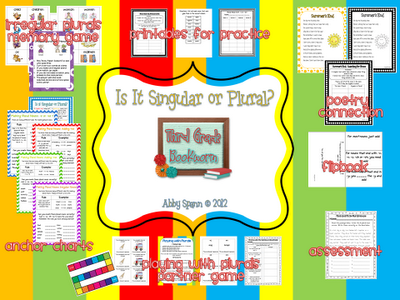 - A printable to go with each "rule"
What used to be a 14 page unit has now become a 30+ page mega-pack of resources for teaching plural nouns. I broke up the plural noun rules into 4 different charts. I found it was much easier for me to teach them one at a time than all at once. 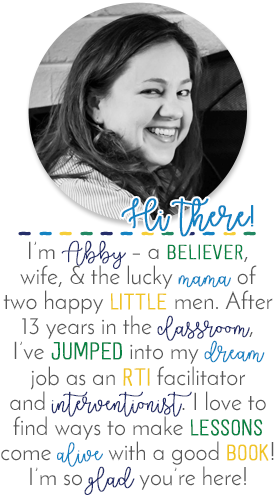 I print them out poster-size, laminate them and I'm able to use them with both classes. My kids loved the flipbook, the new "memory" game and the revised Playing with Plurals game as well. 1. Follow Third Grade Bookworm by clicking "Join This Site" in the upper right hand corner. 4. Leave a blog post telling me something you're thankful for this week! I'll be back on Friday to announce the winner and to share a fun fall freebie! Remember, if you've already purchased this packet you need to head to TpT and download the update! I've change the price to reflect the extra goodies and love put into the unit. I'll leave it at $4.00 until the end of the month. After that, it will be listed for $5.00 in my store. Today, I am grateful for all of YOU! You have been a source of encouragement and a blessing since I started this blog last June. Thank you for all your sweet words and support! I am thankful that there was NOT a blood clot in my mom's leg today when we had to take her to the emergency room! I am thankful that I have the whole week off for Thanksgiving and that my Hubby has the whole week off too! Yippie! I am thankful that I have beautiful friends and family and that I can rely on God to hold me up. I am thankful for my family,friends,my health,and for having taught 31 years!! I'm thankful to have a 4 day weekend. Even though we're staying home, its much needed break. Just saw I won...wow! I haven't won anything since this summer. Thanks! I just loaded up on ink, I'll be printing, laminating and cutting this week!